Mark Hunt is returning to Octagon against Russia’s Aleksei Oleinik at UFC Fight Night 136 this weekend (Sat., Sept. 15, 2018) from Moscow and this will UFC’s first ever event in Russia. It doesn’t mean if Hunt is facing some other opponent, he forgets about his former rival Brock Lesnar. ‘Super Samoan’ never shys away from sharing his feelings about Lesnar. 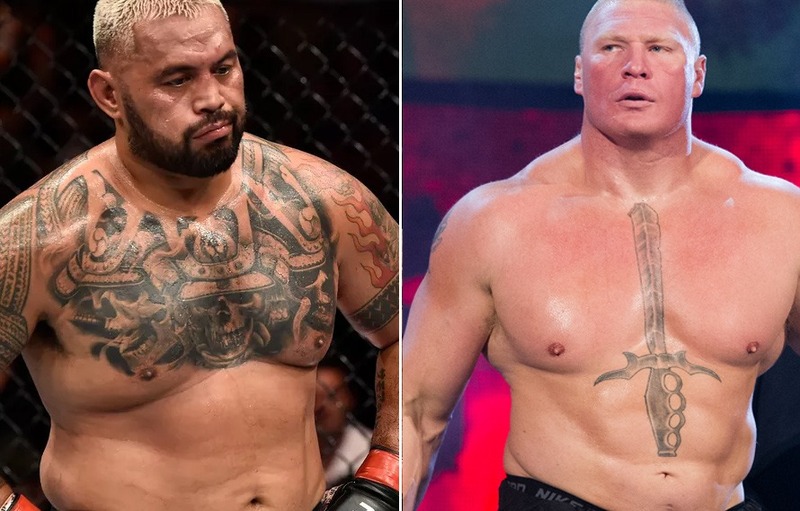 Lesnar and Hunt faced each other back in 2016 at UFC 200, where the initial results was that of unanimous decision win for former heavyweight champion Lennar, which later overturned to no contest after Lesnar being flagged by USADA for Clomiphene. This whole fiasco of drug test pissed Hunt off and sued the company and Lesnar claiming, WWE star’s positive test caused him financial hardships. Well, Hunt’s lawsuit doesn’t stop him and UFC from making money off each other. “Super Samoan” isn’t too happy to continue working for UFC and want to leave the promotion as soon as his last two fight from his contract is over. Mark, 44 realizes that his storied career is fading down slowly and looking forward to his last fight at UFC Adelaide on December 2 and then wants to fight globally three to four times.